A Fabricated Journey: May Saturday. 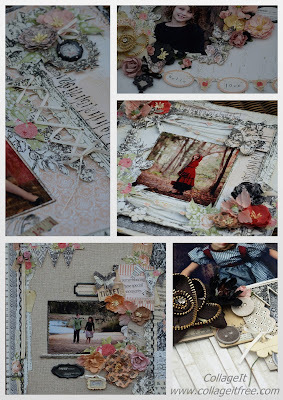 Hi there, Today I'm sharing a 'sneak peek' collage of my next 5 layout all day class. For those ladies that say they can't make it on Sunday and ask me to please change the day'..........Just for your request MAY is a Saturday. Kits are available for pre-order but must be ordered prior to Sat 25th. Or if you would like to see the layouts prior, all 5 layouts are on display at the shop. Thanks for visiting my blog, G!